The raw power behind NVIDIA's soon-to-be ubiquitous Tegra II chipset makes for some interesting possibilities when it comes to gaming. However, there are certain pitfalls when one manufacturer leap-frogs the competition. Being the first to market in this latest generation of system-on-chips, NVIDIA has developers and exclusives pretty much at their beck and call. Who are you doing to develop for, the company with a multitude of devices hitting the market right now, or the "other guys" without any firm release date? NVIDIA's in a strong position right now, and it's going to do its best to solidify that. Some of you may recall the stunt NVIDIA pulled with their PhysX engine, essentially crippling graphics on hardware without PhysX enabled - namely their ATI rivals. 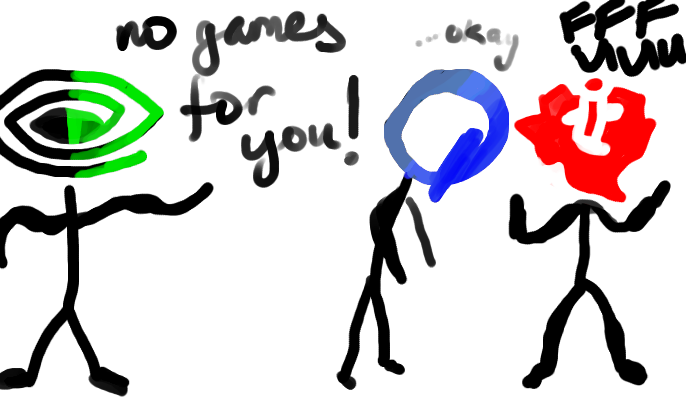 Judging by the latest bunch of games released to the Android Market, something similar may be afoot once more. However, rather than not running properly, it would appear that these Tegra HD titles simply won't install at all if your device does not have the requisite NVIDIA chip. You might think that it's more of a hardware performance limitation than anything - a real contestant to the dualcore throne has yet to appear in the market besides the Tegra II, so is this may simply an issue with current non-Tegra devices being too feeble? Take a look at AnandTech's benchmarks and you may notice that the SGX540 that the LG Optimus 3D shares with the Samsung Galaxy S is still in contention even when paired with a single core CPU. Food for thought. Will this exclusivity change when we see OMAP4 devices hitting the market? That remains to be seen, but we can only hope that the graphical standards already existent in Android such as OpenGL ES will be adhered to, allowing for forward and backward compatibility with capable devices, irrespective of their logo. Should that happy scenario fail to eventuate, we're looking at the touchy issue of fragmentation once more. Considering the diversity of the Android device spectrum, it's basically inevitable that we're going to encounter some hardware fall-off with cheaper phones - already there are devices out there that can't play some of the newer games because they don't have the ARM v7 NEON instruction set. Of course, there are ways of fooling software checks into thinking you have the right hardware, but there's no guarantee that will be enough. If developers are using Tegra-specific code in their games, then you're pretty much screwed, even if you're just as powerful. So, what do you think? Is the apparition of these Tegra HD games a legitimate cause for concern, or are we simply spreading FUD? How do you feel about games having Tegra-only levels? Will disclaimers like this become commonplace? Those of you sitting pretty with Moto XOOMs and NI Adams are probably feeling pretty content with this software optimized just for your device, but behaviour like this is opposite to the openness and inter-operability that Android stands for. The current total of NVIDIA Tegra-II optimized games stands at four: Dungeon Defenders, Samurai II: Vengeance, Fruit Ninja and Backbreaker. 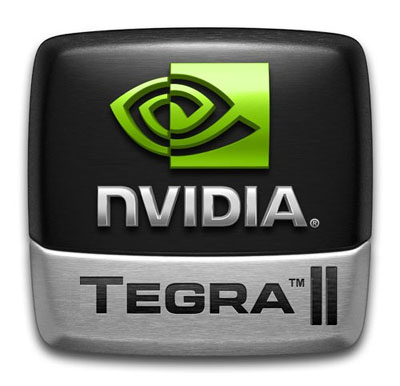 You can be sure that that number will grow as more Tegra II devices start hitting the market.